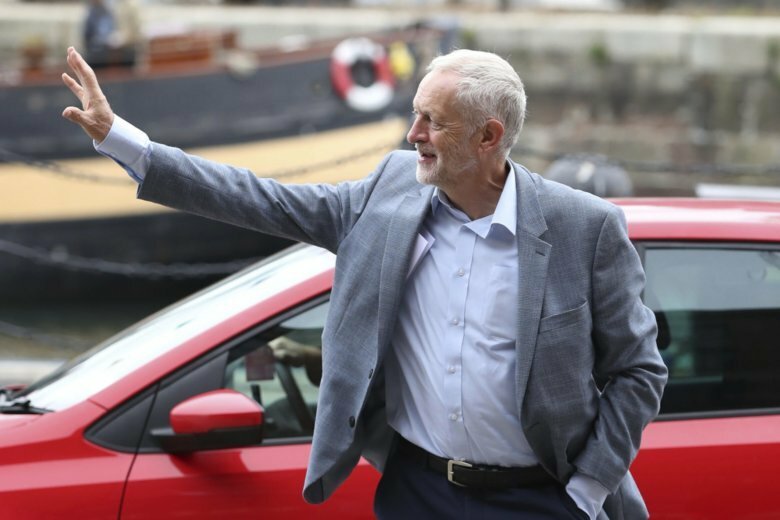 LIVERPOOL, England (AP) — Britain’s main opposition Labour Party confirmed Sunday it will hold a major debate on Brexit at its party conference this week, buoying Labour members hoping to stop the country from leaving the European Union. With the U.K. and the European Union at an impasse in divorce talks, many Labour members think the left-of-center party has the power — and a duty — to force a new referendum that could reverse Britain’s decision to leave the 28-nation bloc. Ever since Britain voted in 2016 to leave the EU, Labour has said it will respect the result, although it wants a closer relationship with the bloc than the one Prime Minister Theresa May’s Conservative government is seeking. “Labour have to come to a decision. The time has gone for sitting on the fence,” said Mike Buckley of Labour for a People’s Vote, a group campaigning for a new Brexit referendum. To drive home the message, several thousand People’s Vote supporters marched through Liverpool on Sunday, waving blue-and-yellow EU flags alongside Union Jacks and holding signs reading “Exit from Brexit” and a few ruder slogans. “I think the time for vagueness is over,” she said. “Obviously I’m bound by the democracy of our party,” Corbyn told the BBC. Still, Labour faces a major political dilemma over Brexit. Most of the party’s half a million members voted in 2016 to remain in the EU, but many of its 257 lawmakers represent areas that supported Brexit. “For Labour to adopt a second referendum policy would spell political disaster in all those Labour seats that voted leave,” said Brendan Chilton of the pro-Brexit group Labour Leave. Since the 2016 referendum, Labour has stuck to a policy of “constructive ambiguity” in a bid to appeal to both “leave” and “remain” voters. The party opposes May’s “Tory Brexit” plan but not Brexit itself. It calls for Britain to leave the EU but remain in the bloc’s customs union with “full access” to the EU’s huge single market. Yet Pro-EU Labour members, including many lawmakers, say the party’s ambiguous stance is becoming increasingly untenable as the risk of an economically damaging “hard Brexit” grows. The Conservative government’s blueprint for future trade ties with the bloc was rejected last week by EU leaders at a summit in Salzburg, Austria. That left May’s leadership under siege and Britain at growing risk of crashing out of the EU on March 29 with no deal in place. Andrew Adonis, a Labour member of the House of Lords who supports holding a second referendum, said Labour can’t sit on the sidelines while the country staggers toward political and financial chaos. “This is as big a crisis as I can remember in my lifetime,” Adonis said. “And no one has a clue at the moment what is going to happen. Labour has also been roiled by allegations that Corbyn, a long-time critic of Israel’s treatment of the Palestinians, has allowed anti-Semitism to fester inside the party. He has denied it and condemned anti-Semitism, but the furor has angered many Jewish party members and their supporters. Labour backed the “remain” side during the 2016 referendum but Corbyn’s support was lukewarm.